Whisk together mayonnaise, yogurt, and lemon zest and juice; season with salt and pepper. Stir in tuna, celery, and apple. 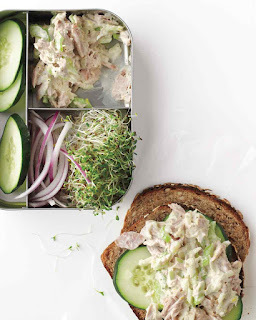 Serve with bread, onion, cucumber, and sprouts.